Available on Smash Words, Kindle Store, and B&N Store. Sleeping late. Hanging with friends. Freedom. Derek Dawson couldn't wait to finish middle school. Unfortunately, a heroic attempt to impress his classmates on the last bus ride home sends him right back to the principal's office. He's been in trouble before, but nothing like this. Working for free. Musty books. 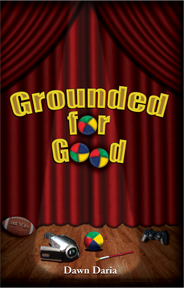 Grounded. 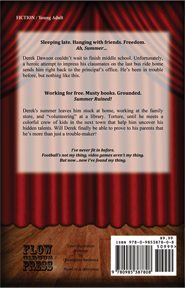 Derek's summer leaves him stuck at home, working at the family store, and "volunteering" at a library. Torture, until he meets a colorful crew of kids in the next town that help him uncover his hidden talents. Will Derek finally be able to prove to his parents that he's more than just a trouble-maker? I've never fit in before. Football's not my thing, video games aren't my thing. But now...now I've found my thing.